“We must live together as brothers or perish together as fools” -Martin Luther King, Jr. Preface, the photos and videos in this article are from March 24, 2018 at Louie G’s , in Fife. Stargazer was the opening band. I would like to start off by saying that this article is long overdue; unfortunately, life happens and hampers to keep the schedule you sought in the first place. Steve McKeever is the lead singer of Washed in Black – Seattle’s own Pearl Jam Tribute Band. In July of 2017, Steve experienced a vocal chord problem that left him unable to sing. I remember seeing him at several shows; he was unable to talk to me at all. He would just nod, hug or try and whisper. During this time, I know I wondered if Steve would ever recover. However, Steve made his way back to the stage on March 24, 2018 after almost 8 months of not performing. Before I share Dan Nunn’s account, I would like to tell Dan that he is what I call a true friend and a great example of “brotherhood”. He never stopped for the band during this time; ultimately doing whatever needed to be done to keep the band going. He stepped up the plate and made the shows happen – while maintaining a level of professionalism that would’ve been hard to uphold during any circumstance. The following account is directly from Dan Nunn; the band’s bassist and manager. “Keeping a band together at any level can be challenging. Any number of things can interfere from internal conflict, substances, egos, etc., etc.…. One of the last things you really think about are long term injuries to key players and even then, you can often find good players to fill in on instruments. In 2017, Washed in Black was coming off our best summer yet of shows and festivals, everyone at the top of their game, having fun, no worries, tons of momentum, and the rest of the year was booked out with a heavy calendar. 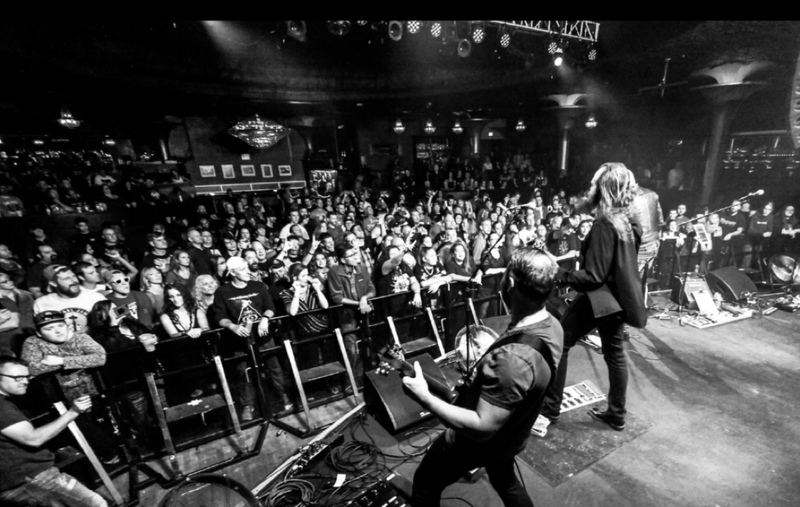 Following our show at Bite of Seattle in August 2017 our lead singer, Steve McKeever started coming down with what at the time we thought was a cold or bronchitis, no worries, it happens…….. we could not have been more wrong. It quickly became clear that it was something else, possibly something much more serious and we began to wonder how we would keep the train rolling, even considered clearing the calendar for a while… a HUGE momentum killer for any band. After seeing several specialists, it was determined that Steve had vocal cord paralysis, or, a paralyzed vocal cord. Non-singing related, the nerve on the cord just becomes damaged somehow, possible through infection, they are not sure why. Recovery times can vary from 6 months to a year, and some never fully recover. This is something that can hit anyone, not just singers. Reality really started to hit that this could be it, at least for a while. While getting players to fill in on instruments, the lead singer and front man is something completely different. In many ways the singer is the face of the group and a large part of a band’s identity. And I mean, who is going to step in to cover Eddie Vedder, AND have the bandwidth to potentially cover 30-40 shows while Steve recovers. We could start canceling shows, or hope he recovered very quickly. So yeah, there was some concern on the future of the project, we all knew it, feared it, but no one really spoke of it. I contacted the lead singer of another Pearl Jam Tribute out of LA called Vitalogy, Aaron Saffa; he agreed to cover some immediate shows as available. We flew him to cover several large shows including the Taste of Edmonds, our part in the 2017 Layne Staley Tribute weekend (a Night of Music at the Crocodile), and later in the year two shows in Portland with Best of The NW Tribute. What an amazing and gracious guy. That helped but he could not do all shows. We brought in some local talent with Jeff Myers of Blaze of Glory (Bon Jovi Tribute) to cover a couple of shows and our drummer Kevin Hammond even stepped up to front the band for a show and we hired a fill in drummer, Rico Ybarra. It became clear that Steve would be out for an extended period and we feared we were losing our identity to some extend with the rotating singers. Either we find a longer term fill in to join us, or, seriously consider taking a break and clearing the calendar, possibly permanently, if Steve could not recover. It was at this turning point that fortune turned our way and through a series of events, Troy Aylesworth who was in Second Hand Flannel (a 90’s cover band) and Wicked Garden (A Stone Temple Pilots Tribute), agreed to basically put his life, and other bands on hold to step in with the understanding the maximum time he could commit to was 6 months. We could not have asked for a better front person, or just a cool person in general to take on this role. Musicians we worked with and fans quickly accepted Troy and welcomed in to the fold. He carried the torch brilliantly with his enthusiasm, energy, a true love for the music, and a stage craft that is hard to beat. Thanks brother, you really were the right guy at the right time and we are all happy to now have you as a close friend. 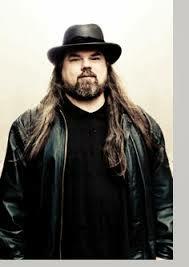 Troy has since become family and a fixture in the NW tribute scene with his band Wicked Garden. During this period Steve had a procedure where they injected Cymetra, a human collagen product, in is vocal cord which helped him to at least talk, although nowhere close to singing. Through months of rest and then eventually speech therapy to basically learn how to talk and sing again, it seemed like he was slowly getting better and we began to feel optimistic that he could return at some point. Steve also made sure to stay involved and made it out to nearly every show to support, even traveling with us when we hit the road. I can’t imagine what it must have been like to watch your band perform without you. While it was encouraging to see his commitment, it also pained me to look out to the crowd, or off to the side stage, and see my good friend of nearly 40 years standing there obviously hurting from not being able to be on stage with us. If you remember Troy could only commit to 6 months and it was at about that time that Steve really started to be able to sing again, not for extended periods yet, but a song here and there and he did. He started coming up during shows for a song or two and has since obviously made a complete recovery, and in fact, may even have a stronger voice in some ways than before. Troy Aylesworth, lead singer of Wicked Garden – The Stone Temple Pilots Experience felt so moved about filling in for Steve, that he posted this heartfelt statement on Facebook……..anyone got a hankie?? The pictures and videos in this article are from Steve’s first show back, nearly 11 months ago on March 24, 2018. Garrett Heffernan was WIB’s guitarist during this period and appears in some of the photos. Photos and some video shot by Kurt Clark of NeHi Stripes Musiczine Seattle. Video and photos are sole property of NeHi Stripes Musiczine Seattle.